Coming October 17th (21st in North America) is F1 2014 on Xbox 360, PlayStation 3 and PC. Drawing upon all our experience in developing Formula 1 titles down the years, F1 2014 recreates this year’s incredible season featuring all the seismic changes to the sport, including new turbocharged cars, new circuits plus all the driver moves. 2015 will see us release our first title on new-generation platforms. The game will launch earlier in the Formula One season and then go onto receive live digital updates. These updates will deliver 2015 content into the game as the season unfolds, ensuring you’ll be competing against the same drivers and teams you watch week in and week out! The game will be available on Xbox One, PlayStation 4 and PC. There are two ways to look at this. On the plus side, this means that within the next nine months or so we should have new two F1 games with the current generation of consoles enjoying this season’s championship (as if it weren't enjoyable enough already) and then a further F1 2015 release a lot earlier in the year than normal for the newer consoles listed above. However, it’s still a bit surprising that Codemasters have opted to miss out on a release for this season too and have stuck with the familiar consoles for their next game. It fills me with a bit of fear that not much will be altered with focus looking towards the eventual release of the 2015 game just a few months after, but this could be a fear unfounded for all we know. The current generation of games on the PS3, Xbox 360 and PC have generally been received well each year despite numerous patches on each title before they finally get nailed down. Codemasters have always had a solid reputation for their pedigree with racing games but it is hard to fault the ability to create an enjoyable F1 game that appeals to both the dedicated and casual fan base. They have always provided a fairly tough game in comparison to something like GRID which offers a much more arcade-based experience but doesn’t punish you for your mistakes like the F1 series does, but this is absolutely part of the appeal for an F1 game I find. It should be as challenging as it is for the drivers. F1 2014 is still a bit slim on details in regards to new features but I personally wouldn't expect a huge change from last year’s title. Handling will be improved as it always is; I would go so far as to say that the 2013 handling model was the strongest in the series so far from a controller perspective and the initial announcement went into detail in regards to new scenario mode inclusions that were good fun in F1 2013. There is no news on the Career Mode and if it has encountered any revisions but I would like to hope it has – F1 2013 had what was essentially a carbon copy of F1 2012’s career which was a little disappointing. Restrictive licensing doesn’t help but this is out of Codemasters’ control - they can only work with what Bernie and his cronies offer them with the license and that's that. There’s a whole heap of ideas if the licensing was opened up in regards to progressing through tiers, driver changes and liveries and so forth but I’ll save that for another post. What I feel should be noticed in this announcement though is the desire to start releasing F1 games a lot earlier in the season which is a very promising bit of news for the future. Traditionally every new instalment comes out in September or October, usually with just a handful of races to go in the season. 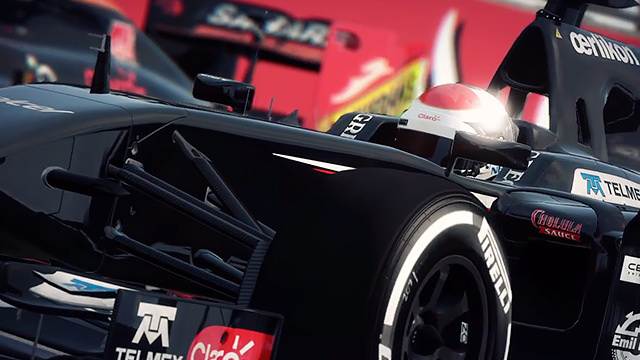 F1 2015 appears to highlight an initiative for Codemasters to start releasing the games in spring or early summer and constantly provide updates as the season progresses which is precisely what should be happening. It opens a whole world of opportunities – offering updates that reflect what’s happening in the season, including challenges for a race that’s just happened, any real time rule changes that the FIA seem to adore so much during the season – and most importantly it makes the game relevant without feeling like you’re getting into a new F1 game a few months too late. It also provides the developers with a much more powerful array of tools to work with when making the jump from the older generation to the new. The PS4 and Xbox One are still young in their console life but we’re already seeing the likes of Titanfall and Infamous: Second Son pushing the boat out a little in offering experience that both play good and look good, with Destiny soon looking to make that boat head out even further. Things will only get better over the years to come. The F1 games will never be seen as a system seller in the same way these games are but more powerful hardware and capabilities should allow for the series to both look and play fabulously as it makes the jump next year and going forward. As the next few months unfold I'm sure that we’ll hear more regarding F1 2014 and its details that will hopefully make it worth picking up. I'm of the impression that there has not been a bad F1 game from Codies although as with all opinions this is completely subjective. The decision to wait on the next gen consoles is a frustrating one but an understandable one – their market share is still insignificant compared to their predecessors and it does allow Codies to rearrange the release schedule for their titles. To Codemasters’ credit they could have delayed the titles entirely on both generations of console in order to accommodate this arrangement but in the long term it’ll make the releases feel much more current and relevant to the actual season in question. So, there’s plenty to be excited about and I think it’ll be worth waiting for. I guess in the meantime we’ll sit back and enjoy this fabulous season that’s occurring away from the console.